The history of technology companies is littered with casualties and failures. During my childhood, my friends and I played on Atari consoles and began programming on Spectrums, Commodore and BBC home computers. Polaroids were cool cameras and we started renting videos from Blockbuster. Even now Nokia and Blackberry, two once mighty mobile phone companies are shadows of their former selves. Resting on your laurels, trusting in your own brand or failing to spot and adapt to culture changes or innovations are all ways to condemn your company to a slow and painful slide into irrelevance and then extinction. Churches can learn a great deal from the success and demise of businesses. The church is after all a form of business although instead of dealing in commodities and seeking to make money, it sells truth and relationship with salvation as its greatest product. Most companies if they want to increase their market share know that investing in order to grow is a fundamental building block. Get your strategy right and you can achieve massive success. Fail to have a strategy or get it wrong and you’ll be consigned to the dustbin of also-rans. Crudely put, Jesus knew that building his brand would be the key to changing the world, which was undoubtedly his intention. He explained to Peter that he would build his church with him as its rocky foundation. (Mt 16:18). Before his ascension to Heaven he told his followers to go and make disciples of all nations (Mt 28:19) and that they would be witnesses starting where they were in their local context and then going out to the ends of the Earth (Acts 1:8). The whole book of Acts records the initial massive explosion and spread of this amazing new product called Christianity. Of course experiencing a relationship with God through the death and resurrection of his son is far too incredible to be compared to something you buy off the shelf at John Lewis. Christianity is not to be consumed as a lifestyle choice and the analogy can only be taken so far, but just like some of those once ubiquitous brands of the 1980s, the Church in the West at least has become to many irrelevant and outdated. The difference is that it still clinging on to life. The Church of England, which mostly has taken little useful action to address of its slow disintegration over the last few decades is finally beginning to get its act in gear. It is rather late in the day to be acknowledging the overwhelming evidence that it is in trouble, but at least now there are increasing attempts to think seriously about avoiding going the way of Kodak and others. Much of the vibe coming from the upper levels of the Church of England over the last few years has been focussing on stemming the tide of declining numbers. It is only recently that genuine growth has been getting much attention. With the new Church Growth Research Programme’s extensive and important findings released last week, there is something of a spring in the step of those reporting the news that things aren’t all bad and in some places they are actually quite good. 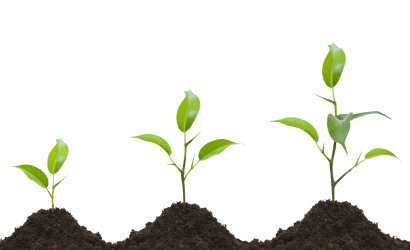 Significant Growth in Fresh expressions of Church (new congregations and new churches)! Cathedral attendance up a lot! Nearly one in five churches have grown in the last decade! This is great news, but alongside that we have the more usual stories that a quarter of churches declining and the disturbing facts that the average age of congregations is now 62 and in almost half of our churches there are fewer than five under 16s. That strongly suggests that despite some positive signs, the Church of England is going to decrease in size a lot more over the coming years as members die off. The Church of England still struggles to appreciate what makes for a good vicar. Clergy play a pivotal role in the Church of England, but if it wants to see significant growth in many churches there needs to be a fundamental shift in how those seeking to be ordained are selected and trained. Justin Welby’s comment on New Year’s Eve that “The reality is that where you have a good vicar, you will find growing churches,” has caused a degree of discomfort and navel gazing as clergy have discussed what a ‘good vicar’ actually looks like (David Keen’s Opinionated Vicar has links to a selection of blog posts). Some might consider a good vicar as someone they can call on in an emergency, who preaches an enjoyable sermon or who has good pastoral skills. All these are good qualities, but what Justin is referring to though is strong leadership and this is backed up by the research. If you want to find a vicar who will have a positive impact on church growth, don’t pick one who describes their strengths as emphasising or persisting. Instead go for one who is more interested in motivating and envisioning, who is more extrovert and likes to focus on the bigger picture. It also helps if they are younger and probably not liberal. The Church of England’s selection panels are turning too many good people away for the wrong reasons. This is counterproductive in itself, but to add to this those who do get selected are not getting the right sort of training to be effective leaders. A church is never going to reach a significant size or be remotely effective unless lay people play important roles in leadership and are engaged regularly in its work. Vicars need to be able to lead teams effectively especially if there are paid staff at a church. They need to encourage and enable congregations to take responsibility for much of a church’s activities. Any church that thinks the vicar should be doing all of the work will go nowhere. However most trainee clergy will spend a massive amount of time learning how to write and preach a sermon, but next to no time on the mechanics and principles of the leadership skills required to handle organisations fruitfully. Vicars I’ve known have had to find separate courses to go on if they are so inclined. When I was spending some time studying at Ridley Hall theological college in Cambridge a few years ago we would have ordinands attending sessions on leadership, frustrated that their own course did not provide them. The church has a big job on its hands trying to reverse its fortunes. Few businesses manage to turn themselves around and restore former glories once they’ve realised the rot has set in. Culture and society marches relentlessly on. New companies with their finger on the pulse forge ahead to take the places of those falling by the wayside. But if the Church falls by the wayside, who or what will fill the gap? Atheism? Islam? What else can provide the moral compass that Christianity has provided this country for so long if the Church loses its voice? This country needs the Church for many reasons, but it also needs a Church that is healthy and functioning well at all levels. For too long this has not been the case. It may be an ancient institution but it needs to be prepared to think like one that is planning to be around for centuries to come and that means putting growth through discipleship and mission at the top of its agenda. There are plenty of other areas beyond clergy leadership that the Church of England needs to seriously address. The Church Growth report touches on many of these such as taking younger generations far more seriously and allowing successful churches that are often attractive to younger generations space and freedom to thrive rather than treating them with suspicion or as cash cows to prop up other churches that are shrinking. The Church needs to take risks and allow the grassroots members to be creative and provide momentum, rather than it being imposed from the top. Young people need to have churches they feel part of where they feel valued and are able to play their part with encouragement and support. And most of all churches need to allow God to control the agenda rather than structures, some of which are more of a hindrance than a help. Thankfully, there are at least two things that the Church has in its favour that even the best companies and brands cannot boast that will ensure it endures. The first is that it has the greatest message of all. Nothing compares to the wonder of the grace, healing, and forgiveness offered through the Gospel of Jesus that can restore even the most wretched of us. The second is that the Church has God on its side and we can see over the course of history the way He has kept it alive even in the most desperate of situations. The Church is ultimately His and our job is to do what we can to reflect that glory as a witness of Christ. There are plenty of churches in the Church of England and elsewhere who are getting it right and their practices and ethos deserve to be shared and espoused. The model of a church like Holy Trinity Brompton that is driving revival in parts of London will not be able to be directly copied in rural Dorset, but qualities such as passion, spiritual hunger and a missionary zeal can. I have no doubt that the Church in this country has an exciting future and a crucial role to play. It can be vibrant, Spirit-filled and attractive to those both inside and out, but significant growth doesn’t happen without radical faith, thinking and action. For the Church of England, as the Church Growth report finds, there is still a long way to go on this front. For those who are still in bed, it really is time to wake up and smell the coffee. Another superb article. Very helpful. Fortunately I am a member of a “fresh expressions” Anglican church – that has grown rapidly – with a vicar (and importantly wife) that score very high indeed in the criteria listed. Having a husband/wife “double-act” is very important! That, alas, seems to be the attitude of too many churches to clergy spouses: we are regarded as the unpaid extras, the two-for-the-price-of-one bargain. To which I, for one, say, no; and I’m delighted to belong to a church that does not take that attitude. We clergy spouses are people in our own right, we are not free labour. Phil Groom … Think you missed my point. The wife concerned is also training for the ministry. It is more the way that she supports her husband. Thanks for the clarification, Alex. When both partners in a marriage share the calling, it’s another dynamic entirely, but that’s a rare situation: more often, one is called and the other tags along, some enthusiastically, some reluctantly, most somewhere in between. All too often, however, congregations expect the clergy spouse to be the unpaid vicar’s assistant, to be a secretary-sunday-school-teacher-youth-worker-flower-arranger-mums-and-toddlers-leader-cleaner-furniture-mover and general picker-up-of-the-pieces that church members are unwilling to pick up themselves; and that’s not a good way to treat anyone, let alone a good recipe for church growth: what happens when the omnicompetent clergy couple move on? Suddenly there’s not just a clergy gap in the interregnum but a gap in lots of other areas. Church growth starts with the congregations, not the clergy. Sure, clergy can enthuse and motivate; but it’s the body itself that has to grow, and there’s far more to growth than counting bums on pews, as others have noted. It will be interesting to see what becomes of this vicar’s wife as she completes her ministerial training: there aren’t many parishes in a position to take on two clergy, especially not a clergy couple; and it’s extremely unlikely that she’ll serve her curacy with her husband. What then becomes of this ‘double-act’? Now I’m interested in what you’re doing Phil. Both of us are vicar school. The suggestion of us both working together when we’ve finished a 3 year curacy, after a 3 year part time training course seems to be in the ‘too difficult’ pile for consideration. Make a suggestion that a pioneer, church planting, joint curacy would be interesting, and guess the response! So what’s the story Phil? Interestingly I was struck this week by Revelation 4 – the story of the Holy city, and then started dreaming what backcasting that to now would look like. I want to be part of God’s holy city here now – is that too big a dream to want? Challenging times ahead for you, Simply! Or should I say, more challenging? My wife and I had the problem solved for us: we were both prospective ordinands; but she was bapped and I was bumped, so now I tag along (mostly happily, I might add). Well, that’s all very well and good, Alex – but what about those of us in training or curacies who are unmarried? Or divorced? I entered training hoping to be married, but the reality of the clerical life very quickly hit home to both of us, and we parted ways. Whilst the clergy arguably have better job security than most, finding someone who is prepared to put up with a modest set salary, a six day week (seriously – ask a normal person how they cope without taking a weekend, ever) and a transitory life is proving pretty damn hard. Sorry, I regret posting anything. I was not making a deep point. As a separated man who “fucked” my marriage, all I was trying to say is that it is wonderful to see a couple that truly support and complement one another in ministry. Shopping already satisfies most people. I don’t think many people think outside of “What can I do to entertain myself on Sunday” and the Church will never compete as a leisure pursuit. Attempts at making services more entertaining have only skimmed off the tiny minority whose idea of fun matches the format that the church is willing or able to provide. I’m not knocking HTB but it attracts a limited section of society. It’s the Whole Foods of Sunday worship. Ordinary shoppers are going to wander in and think “This is nice” without necessarily being convinced by the brand ethos or price tag. It is not alone in this respect. All of the popular church brands compete for the same solidly middle-class type of person who is set on finding similar people to hang out with (and hopefully marry). What’s missing are the Tesco or Sainsbury’s spiritual shoppers – the people who don’t necessarily think of the shop as the brand and will happily buy the same thing (spirituality) at home by reading books or browsing stuff on the Internet. I don’t know what the answer is. I’m half way through a discipleship course at All Souls which is (culturally speaking) torture – but I’m willing to put up with evangelical culture because I am already sold on the theological stuff. My non-Christian friends wouldn’t get past the tight social conformity (indirectly) enforced by a relatively successful church ‘brand’ like All Souls to stick around and figure out the faith/meaning/religion bits. Thanks Joe, helpful comments. Any church that focuses on entertainment over substance is in trouble. I’ve seen the same approach in schools where teachers are encouraged to make lessons more entertaining and exciting. What this does though (about from causing teachers more stress, is to turn pupils into demanding consumers who expect to have things done for them rather than working for themselves. In many ways it is counter-productive. If you go to church and have a great time because you have drawn close to God and been made to feel at home, then that is all good, but the important aspect is the starting point. Church will never manage to compete with other activities on entertainment grounds, so there’s no point trying. HTB clearly have a target group of young adults and they’re upfront about that. The important job is taking what is good about such churches that clearly works and applying it to other settings so it works in their locality rather than thinking every church has to have a middle class, evangelical, modern flavour. Too often many churches have a ‘not on my patch’ parochial attitude. So rather than being resentful that a church down the road is more vibrant, instead being open and saying, ‘What can we learn from you? And is there anything you can offer us?’ Much of this comes down to leadership that can see beyond their own current situation and are willing to embrace new ideas and models. I agree that ordination training could perhaps do more to lay the foundations of good leadership skills and the conferences mentioned above can provide the inspiration and motivation. Perhaps sponsoring dioceses could fund (maybe even partially) the cost of attending these conferences. Business isn’t a metaphor for everything, and the way we interact with one another as a church has a lot more to unlearn from business than it does to pick up. Business focuses on goals. People are not goals, they deserve more dignity than being an outcome. Business focuses on processes. People are not processes, and they should never be treated as means to an end – everyone is an end unto herself. Business is measured in numbers. People are not numbers, and seeing the entirety of our existence (personal, social, domestic and political) in gross and net terms diminishes the very God given nature of humans. I completely see your point about vicars not being supported as leaders who learn things like delegating, but I find the idea of Church as business quite degrading. I’m sorry for butting in, I don’t know you, and this is the first time I’ve read your blog. But the idea strikes me as so jarring that I felt it necessary to comment. Please feel free to reply privately and leave this comment marked as unpublic if you wish. Thanks Zach. I was intending to use the business analogy fairly loosely linking it to decline and growth, so I agree we should never treat churches as Christian factories and all of your points are correct. I always worry if a church is more interested in numerical rather than spiritual growth. That just breeds superficiality. If a church grows because it displays the love of God in action then that is a different matter. Again if we care more about bums on seats rather than the people who are sitting in them and their needs, then we’ve really missed the point. Yes, it clarifies. However, I do think that the broad-stroke comparisons are just as jarring as they were before. Market economies encroach into a market society, where choice and personal gratification are the primary motivations in any decision. Business has the purpose of profit, and is measured in money. Church shouldn’t be part of this. That is not its nature or purpose, and the business metaphors (Jesus’ brand) don’t sit well. You might find a book by Professor Michael Sandel (of Stanford) called What Money Can’t Buy: the Moral Limits of Markets interesting. I agree that the phrase “Jesus’ brand” doesn’t sit well. I think that was an unfortunate phrase to use. What Jesus does have though is a message and an experience; if anything, businesses have replicated His approach. Apple (everyone wants to use Apple as their example of a successful business) sells an experience and most would agree that they are successful at it. I think there is a lot that the Church, as an organisation of people, can learn from these successful businesses in terms of communicating Christ’s message as effectively as it can and developing a contagious culture (to borrow a phrase from Bill Hybels) that attracts people to belong. What is more difficult and where business cannot help is how to overturn the consumerist approach to church. Driving people to be givers as well as takers, growing deeper discipleship. This is partly challenge of effective leadership but also a challenge of overturning a pervasive mindset – ask not what the church can do for me, but what can I do for the church. Yes I am aware of that too and it is an important factor that bears consideration. Having an ordained leader for a Fresh Expression church is unlikely to be necessary in many cases. Interesting … if an ordained leader is unnecessary, what happens to worship? Does it become entirely non-eucharistic? Or does the eucharist become lay celebrated? Does everything become lay celebrated/led — baptisms, weddings, funerals? Or are clergy imported for the special services? Or are all these things dispensed with — in which case, is it church? What, indeed, is church? Lots of good questions Phil! Biblically there is no reason why we need clergy to do eucharist/baptisms/etc. Although for accountability purposes there are some advantages. Fresh expressions are so varied, it’s hard to make generalised comments on this, but you can probably ship in clergy for these bits depending on their frequency without necessarily having them involved full time. If no clergy are available for some fresh expression churches then does the plug have to be pulled? That wouldn’t make a lot of sense. If we’re going to use the worldly language of competitive markets to talk about church growth, it’s probably worth trying to understand Rodney Stark’s work, which uses economic models to describe religious ‘markets’. I’m no expert, but one of the take-home conclusions seems to be that religions that require commitment are valued more highly. To use an analogy, the high price of diamonds shows that they are a good thing to have. The simplistic application is that Fresh Expressions and the midweek cathedral services/concerts which are much trumpeted in the church growth report are not likely to produce lasting religious results (although they might be excellent for the future of Costa Coffee and classical musicians respectively!). @Phil Groom: A mission agency that heard one half of a candidate couple just expected to “tag along” would not allow them to go further. Trying to lead an institution committed to hospitality, that uses the language of family to describe itself, without having the leaders of your family fully committed to the work, sounds like planning to fail. It’s awful if selection committees are thinking that way. Servant-hearted spouses aren’t an excuse for us lay people to slack off, and it must occasionally be awkward exploring the (relatively) new role of clergy husband (Mrs Cranmer and Katherine Luther probably had that feeling too! ), but I hope that ordinand spouses are committed to working together. 1 Cor 9.5 talks about the apostles taking a believing wife along with them…. Have you thought through the application of this passage? – Fresh Expressionsmidweek cathedral services/concerts not being likely to produce lasting results based on the view that those forms of church don’t require commitment? – and your views on partners of ordinands/revs based on a view that the spouses calling is defined by their partners? Yes, if I remember the Stark research rightly, then religions with lower levels of commitment are less successful in a dynamic, pluralistic religious ‘market’ such as the one we are in. I think Fresh Expressions and cathedral midweek services are _very_different things. Cathedral services have been running for centuries, so in one sense are not fresh at all. What’s novel is that we’re seeing meetings that focus on music (often in languages not understood by the people) and with minimal preaching or opportunities for accountability as a substitute for church, instead of a complement to the real thing for those who are in touch with our heritage. If we want to assess them using methods from competitive markets (the aim of the OP), then the best research we have suggests that they won’t increase the number of Christians. Or have I missed something else fresh about the way these midweek services are run? BTW I’m all for Fresh Expressions, done properly. I’ve been part of a church that met in a tower block and another that met in a pub on a Monday night! The end of the latter was rather interesting. It moved to a new venue where people regularly walked in from the street having seen the sign. When the pastors saw that it was becoming full of one-off non-Christians, they told the church members, “don’t stop coming – but realize this isn’t a church and join a meeting that is”. We’re disciples, not concert-goers. On spouses, see my reply to Phil Groom below. STFF: I suggest that you try doing what your pseudonym implies – the fact is that it is individuals who God calls, who then apply, train for and are appointed to ministerial posts: the C of E does not (except very rarely) work with “candidate couples”; and the truth is that we, the candidate/clergy spouses, support our other halves to the best of our ability and in accordance with our own calling. That does not legitimate churches making assumptions about our roles. When was the last time you expected a school teacher’s spouse to run the after school club or come in to prepare the school dinners? Does anyone expect a GP’s spouse to step in as the practice receptionist or cleaner? Or the pharmacist’s spouse to prepare prescriptions? Some clergy couples do present themselves as a package to parishes: good for them. Others don’t: good for them too. Seek truth from facts, don’t make assumptions. Phil Groom, thank you for taking time to reply to me. When was the last time anyone expected a school teacher to be whipped or ship-wrecked? When was the last time anyone expected a GP to live off donations from their patients, giving any amount that is appropriate? Of course, we don’t. But those are included in the Biblical standards for ministers (and lay missionaries), which also clearly include examining the family life of candidates (1 Tim.3.4-5, for example). So I thought I could take the Bible as read, if you’ll excuse the pun. And as I said, I’m disappointed if the Ministry Division isn’t putting that into practice already. I completely agree that different spouses will show commitment in different ways according to their ability. Some people know that God has called them to Surrey, not Somalia, and different degrees of commitment are required. I think the phase “according to their calling” needs unpacking. If a candidate’s spouse isn’t in agreement that this is service (not career), and that 3am phone calls and making yet more cucumber sandwiches are likely to be part of the future, then the candidate is probably mistaken about his or her calling. Whatever their feelings or dreams may be, whatever their compassion for the lost, there’s a disconnect between the Biblical standards and the honourable estate that God has put them in that needs to be worked through. I hope that’s why we have a selection process and episcopal oversight rather than an online questionnaire. I reiterate that clergy spouses shouldn’t be an excuse for lay laziness. But maybe God is calling you to turn a church with a complacent congregation and you’re going to have to put up with it until the Word does its work? Thanks for the heads up on Rodney Stark’s work. I shall look into it. You do make an important point about Fresh Expression churches/cathedrals. It will be in the fruit of these activities that we can judge how successful they are. For many Fresh Expressions it’s still early days, but we shold have a better ideas in a few years. An excellent post and great comments – thank you all! To my mind commitment to Jesus is not a brand, whereas ‘CofE’ is, and most of this blog seems to focus on ‘CofE’. Some other brands seem to be more successful at being multicultural or socially inclusive. (Some branches within CofE seem to be multifaith!) Within CofE we seem to expect too much of our ordained leaders when we load them with management of several branches in rural areas in a desperate attempt to prop up the parish system. I dislike over-application of the business analogy but praise God for the appointment of Justin Welby and his wealth of experience. Thank you Graham, wise comments as usual. When I talk about ‘brand Jesus’ I’m using secular business language. Jesus is not a brand, he is the Son of God. But if you think about what makes a brand, it’s the name and the name that is utterly tied to Christianity is Jesus. That’s the thinking behind that. Christianity is about personal relationship with God, but along with that we are told to meet with other believers. That becomes the Church in all of its different forms. As churches grow they become organisations and have to develop structures to keep them running in an orderly way. Businesses too have structures and face many of the same issues as churches, especially large denominations such as the C of E do. That’s where good practice can be learnt in both directions ( I should have said that businesses can often learn a lot from churches too!). Unfortunately I’ve seen too many churches and church leaders make mistakes that didn’t need to happen and sometimes looking outside of the church is the best place to find some of the answers. Yes this is an excellent piece with some very good thoughts and ideas for rural churches. Thank you. Not sure if this is the answer but perhaps the report is getting people asking the right questions! You’ve given the pot a good stir Gillan, as shown by comments – but imho, an enormous emphasis needs to be placed upon the fact that, without the Holy Spirit’s activity any part of Jesus’ body is either dysfunctional, crippled or dead; which is why C of E’s been handicapped – until now! For example, as manifested strongly in Guildford during the installation of an ordained couple as new leaders a church. That necessity came to my personal (non-Anglican) attention recently when an trainee for ordination contacted me for help and direction, because it wasn’t easy to find in the C of E! As it’s weekend I won’t take up more space but the details, for anyone with the time and inclination, may be read under A Plea For Help & Revelation in http://wp.me/p1Y1yB-4BS (about ‘God moving in a mysterious way…’). You’re absolutely right Richard. I had this in my mind as I was writing this, but quite find the words to express this. Allowing the Holy Spirit to work is something that divides many of the successful growing churches from those that are not. It is hard to quantify this, but ultimately seeking God’s blessing through the Spirit is what churches should be striving for above getting all of the structures right. It should invade everything that a church does. God is sovereign after all and this is His church first and foremost, not ours. This seems a dangerously categorical statement! Can’t the Holy Spirit work through structures (especially those which are “got right)? Is it not true to say that proper structures are a safeguard against some of the excesses to which we are prone if we mistake what we imagine is the Spirit’s prompting? I think much of what you say, Gillan, is quite narrow and seems to preclude God working through a breadth of Anglican / Christian traditions. The Spirit works in a huge variety of ways, after all. I agree Chris, The Holy Spirit can work through the structures and they have an important role to play, which is why I spent so much time on them in the main article. Structures will only get us so far though and we can’t rely on them to heavily. It’s also hard to get them right, especially in an organisation as big as the Church of England. God does of course work through the range of denominations and traditions, but there is also lots to be said for looking at the fruit a church produces. Some clearly are producing more spiritual fruit than others and we shouldn’t be afraid to ask why that is. Personally I think the Bishop of Stepney made some of the best points in this continuing discourse on growth: that churches don’t only have to grow in numbers (and may not) but they hopefully grow in community, and grow deep. There will always be some churches that attract more people, but has a study ever been done on how many ‘more people’ have simply migrated from other churches. One feature of some popular middle-class churches is that they operate something like a club. People feel comfortable in them. They can meet their friends there. But to an extent, that can be sort of self-serving if one is not careful. The Bishop of Stepney drew attention to challenging churches in deprived areas, where the ministry may not be comfortable (is it ever, admittedly) but where perhaps the challenge is simply to relinquish some of your own culture, and let yourself be buried in the ‘just being’ and ‘just loving’ that predicates both community with each other, and community with God – along with ‘just doing’, of course. The business metaphors, and the managerial business leader images, leave me stone cold. To my mind, community is not a business. Community is what the church is about at its best. Just as the triune God is about community, eternally, so the real growth perhaps is more about authentic engagement with culture beyond our slickly run churches, and less about management and leadership, than prayer, kindness, relationships, deepening and growing – in service, in build up of trust (with many disappointments along the way). The suggestion that it would probably be for the best for growth if new leaders weren’t too liberal… points towards models of church that appeal to the popular, to certainties, to assertion of culture rather than surrender of culture, to supremacy and strength of conservative, quasi-fundamental brands. There is room in the church for all kinds of traditions, and wide diversity of expressions. In the end, though, it is about community, and relationships, and prayer, and God. And numbers may be encouraging, but they are by no means the compelling measure. Unless you want our churches to be modelled on some of those US mega-churches, with their drive-in celebrations and feel good, and their drive out again, to lead their comfortable and unchallenged middle-class lives in the suburbs. Whether we do something with this quantitative research or ignore it is of course the next big question. Thanks Susannah for your comments. I’ve just replied to a comment by Graham Oliver above that might help make sense of my business metaphors. I’m not sure it’s fair to list the BBC Computer among your “casualties and failures”. The BBC is of course still going strong. Its manufacturer Acorn, never a company to rest on its laurels, no longer exists as such, but Acorn’s one time subsidiary ARM Holdings “is considered to be market dominant in the field of processors for mobile phones (smartphones or otherwise) and tablet computers”, according to Wikipedia, and is in fact one of Britain’s greatest hi-tech computer successes. Indeed I would put my money on you having one of its products in your pocket! Is there a lesson here? Perhaps that even as a mighty oak tree is dying, it may have shed acorns which will spring up into something even greater. The Church of England may die, but the church in England will surely remain to greet the return of its Lord. Yes Peter, you’re absolutely right. ARM has been a massive success and it is an example of how companies need to adapt. I had an Acorn Electron which was one of their computers. It also nearly ruined the company due to over-manufacture and poor sales.. The BBC and Acorn names didn’t last, but ARM certainly has. Definitely a lesson there as you say. I belong to a” liberal” church with a “liberal” vicar who is middle aged and it is growing. I think it is easy to point at a tradition other than your own and say they are the ones who are not growing. Evangelicals are certainly doing well, and that is good news, but that might not last for ever, as the logic of your blog recognises. After all it was not that long ago that the Anglo-Catholics were the growing churches. Who knows how things will be in the future. We all of us worship in different ways according to our theological, intellectual and emotional make-up, so we need a church where all traditions are valued and encouraged to match that. If we follow the market ideology of only supporting those that are growing the most, then we lessen the church and the movement of the Spirit in the future too. Research looks at averages and trends. I’m not saying that all liberal churches are bad, nor that middle aged or older vicars can’t be as effective. This is certainly not the case.